There are many different ways in which minority religions and counselling may interact. In some cases there can be antagonism between counselling services and minority religions, with each suspecting they are ideologically threatened by the other, but it can be argued that the most common relationship is one of ignorance – mental health professionals do not pay much attention to religion and often do not ask or consider their client’s religious affiliation. To date, the understanding of this relationship has focused on the ‘anti-cult movement’ and the perceived need for members of minority religions to undergo some form of ‘exit counselling’. 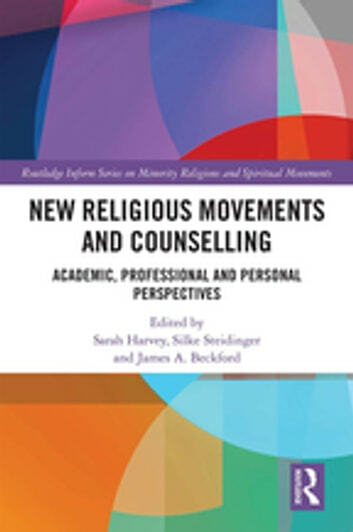 In line with the series, this volume takes a non-judgemental approach and instead highlights the variety of issues, religious groups and counselling approaches that are relevant at the interface between minority religion and counselling. The volume is divided into four parts: Part I offers perspectives on counselling from different professions; Part II offers chapters from the field leaders directly involved in counselling former members of minority religions; Part III offers unique personal accounts by members and former members of a number of different new religions; while Part IV offers chapters on some of the most pertinent current issues in the counselling/minority religions fields, written by new and established academics. 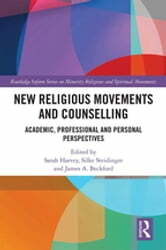 In every section, the volume seeks to explore different permutations of the counsellor-client relationship when religious identities are taken into account. This includes not only ‘secular’ therapists counselling former members of religion, but the complexities of the former member turned counsellor, as well as counselling practised both within religious movements and by religious movements that offer counselling services to the ‘outside’ world.